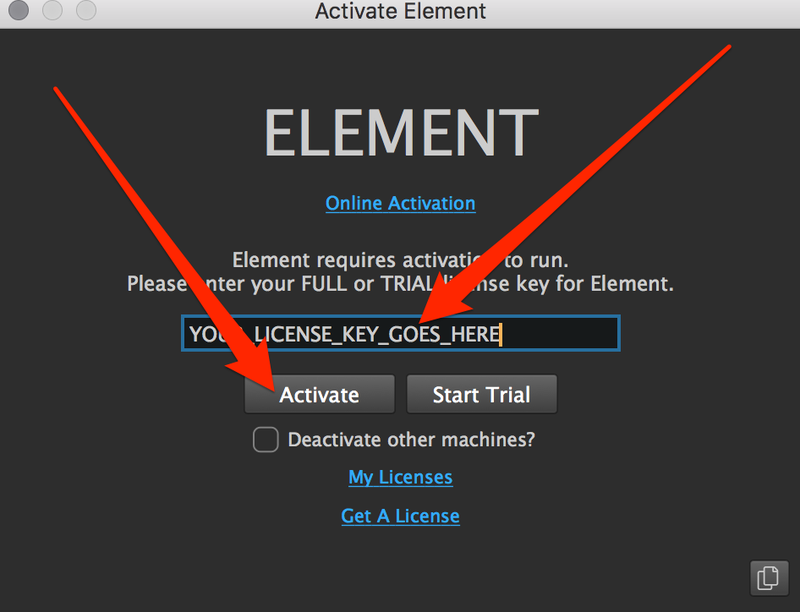 Follow the steps below to register/activate your trial of Element. See the screenshots below for an illustration. 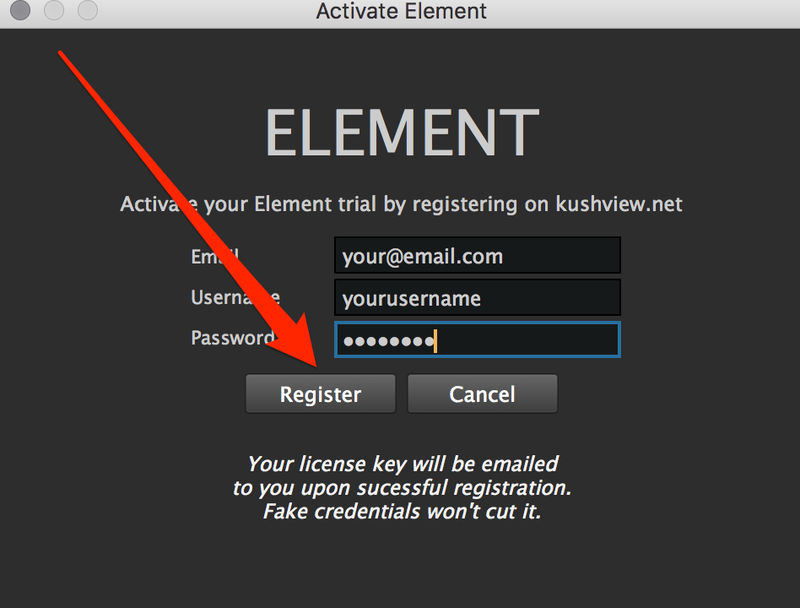 Enter your email, user name, and password. If you don't already have an account, it will be created for you. 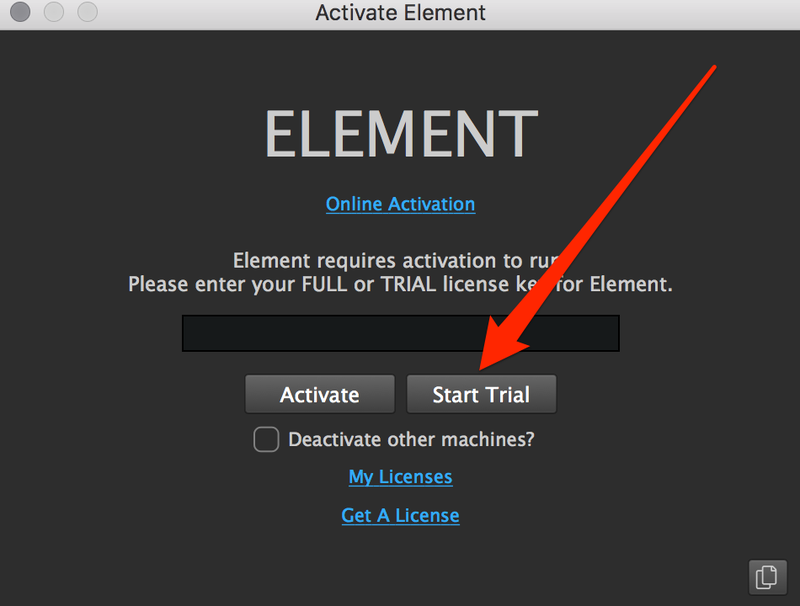 Click the "Register" button to activate the trial.